TroKote™ series trough greases are formulated with vegetable or petroleum based raw materials that will not impart a taste or odor during their use. 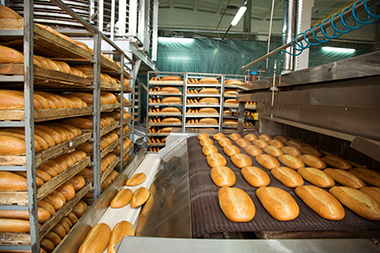 In commercial bakeries, yeast-raised dough is often allowed to rise in a vessel called a trough, which is a deep channel with sloped walls. Low melting point, solid trough greases are applied to the surface of the trough so the sponge may be effectively removed after proofing.